Virtual reality provides users with the ability to recreate any environment that ordinarily might not be possible for the average Joe to experience, whether it’s walking through a battlefield in Iraq or frolicking in the tulip fields of the Netherlands. The uses are seemingly infinite, but people still haven’t gotten on board in the mainstream with this innovative tech. While most innovators are trying to think of ways to give virtual reality its own Pokémon Go moment, others are more concerned about the behavioral implications of this kind of tech. As time goes on, the world is getting more and more detached from reality and more consumed with technology. Sure it can solve a lot of problems, but is that having an adverse effect on our behavior? 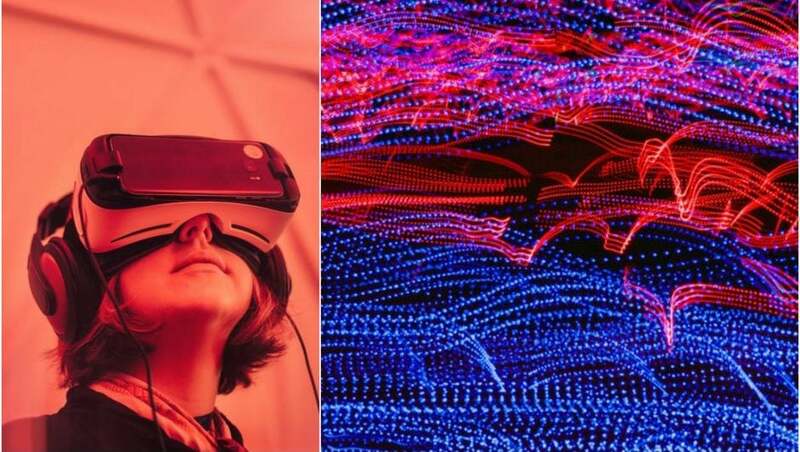 In regards to virtual reality, some have speculated that it’s ability to reproduce something our brain already does is blurring the line between reality and digitally created worlds. The question becomes, are we spending too much time thinking we know what will impress the mind, rather than determining what will keep the mind occupied and challenged? Remember the brain is where reality resides and there is nothing virtual about that. The brain is a bit of an enigma, as it’s constantly forming, thinking, and adapting to its surroundings. It’s easy to forget about the subconscious side of your brain that essentially works in the background, storing every event of your life, from telling your lungs to breathe to instructing your legs to walk. The subconscious constantly wants to take over, it tries to resolve current pressing matters, very much in the same way it is hard to concentrate when you got other things on your mind. The brain likes to fill in the gaps, give it some clues and off it goes placing the final pieces of the puzzle and consequently fills in those gaps. Give it all the data, it then has nothing to solve and eventually gets bored. After a long wait of promises and hyperbolic speculation, the dawn of virtual reality has finally reached our homes and is ready to blow our minds. The question is, are there any adverse bodily reactions when engaging in VR? Science has already discovering some potential issues, with even Samsung and Oculus warning users should take ten minute breaks for every thirty minutes of use to avoid any motion sickness. What’s even more interesting, they even go as far as saying users should avoid driving or operating machinery if the sickness continues, a true indication the effects can persistent long after engagement. Motion sickness occurs by means of your VR gear simulating movement, yet your body is typically static. This clearly confuses the mind as it expects your body and its organs to move in conjunction to what is being seen. Real movement of body parts will trigger senses which automatically relates to the visual movements detected by our eyes, and it is these effects of confusion between the mind and body not syncing up that are concerning scientists. That’s not all though, the potential health risks associated with prolonged trickery of our minds does not stop there. Further research indicates the negative impact VR has on hand-to-eye coordination, balance, and multitasking ability as demonstrated on Oculus’s Health & Safety documentation. Being immersed in 3D space is somewhat different to playing it on a screen. Consciously, you may understand that they are not real, but what does this do to the realms of the inner brain that stores this information? “The way we process these scares is not through the eyes of a person using their critical media-viewing faculty but through the eyes of I, the self, with all of the very human, systems-level, subconscious voodoo that comes along with that,” said Scott Stephan, a designer at Wevr. In essence, evidence points to a lasting psychological impact after subjects return to the physical world and currently we have no real understanding of the long term effects it may bring with it. At least, not yet.